Mesothelial cells play pivotal roles in ovarian cancer metastasis, peritoneal dialysis, surgical adhesions, inflammatory response, and metabolic disease. These specialized epithelial cells form a single cell layer with a critical barrier function and provide a frictionless surface for organs and tissue to move without damage. We isolate peritoneal mesothelial cells from omental tissue biopsies with minimal propagation. Mesothelial cells are available either cryopreserved or in culture. 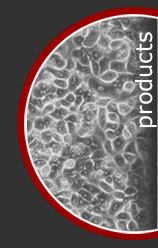 Ready to use medium is also available for use with our mesothelial cells. Complete regression of human malignant mesothelioma xenografts following local injection of midkine promoter-driven oncolytic adenovirus. Kubo, S., Kawasaki, Y., Yamaoka, N., Tagawa, M., Kasahara, N., Terada, N. and Okamura, H. (2010), The Journal of Gene Medicine, 12: 681-692. doi: 10.1002/jgm.1486.